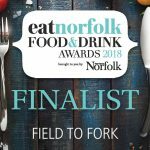 Exclusively using soya beans grown in Norfolk for our fresh 'Norfolk tofu'! 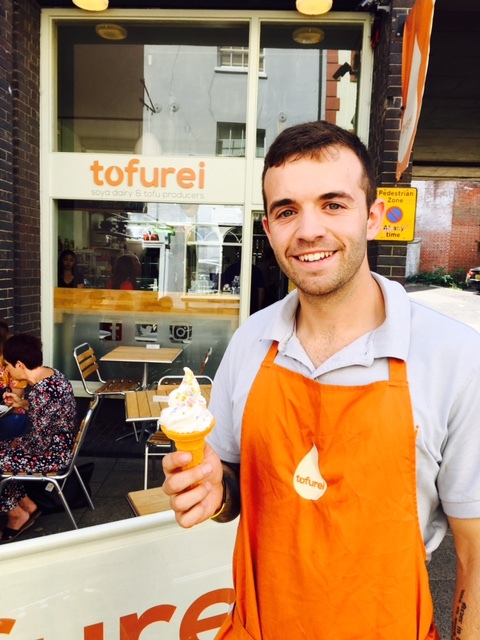 Open at 12 Pottergate in the Norwich Lanes, Tofurei is a relaxing vegan coffee shop and ‘grab ‘n’ go’. Showcasing output from the UK’s first micro soya dairy and our unique vegan deli-counter with soysages, burgers as well as tofu. Free samples usually available for you to try before you buy. You’ll also find our tofu and tofu products on the menu in a number of fine establishments in and around Norwich. Selling familiar drinks, snacks and foods to go, including coffee, teas, soysage rolls, a mouth watering collection of fresh baked cakes, chocolate (including Vivani and Go Max), and Eat Real crisps. Grab a lunch to take away with sandwich, crisps, chocolate and a cold drink for £5.50 (£6 eat in) with our meal deal, or relax with a coffee and cake. All products are plant based. 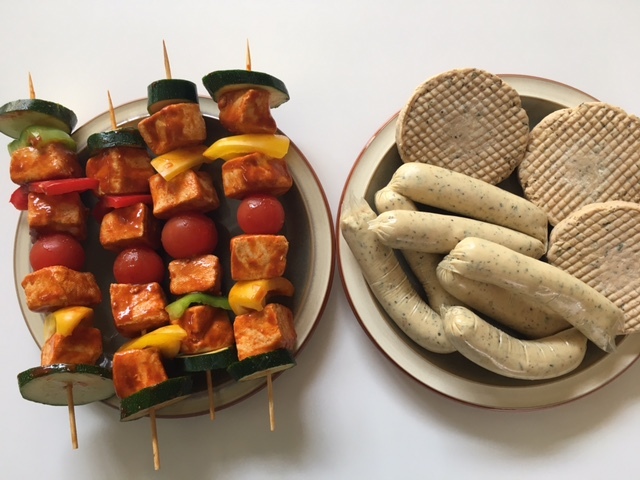 The Pottergate shop includes a unique vegan deli counter with plant based substitutes for fresh meat products, including soysages, burgers, loose tofu and a unique fresh tofu for use as a meat substitute in cooking – all produced using our unique Norfolk tofu produced in our Lenwade production facility. Draught Kombucha from local AllDay Brewing available by the glass or take away in your own container. 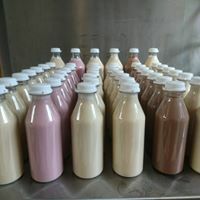 Returning in November: Completely additive free fresh soya milk, along with flavoured varieties to enjoy in the shop or take away in one of our reusable bottles. During the colder months, enjoy our ‘Winter Special’ hot milk. We stock the full range of Tyne Chease – award winning cashew nut based vegan cheese. Also stockists of the One Planet Pizza range of frozen vegan pizzas. 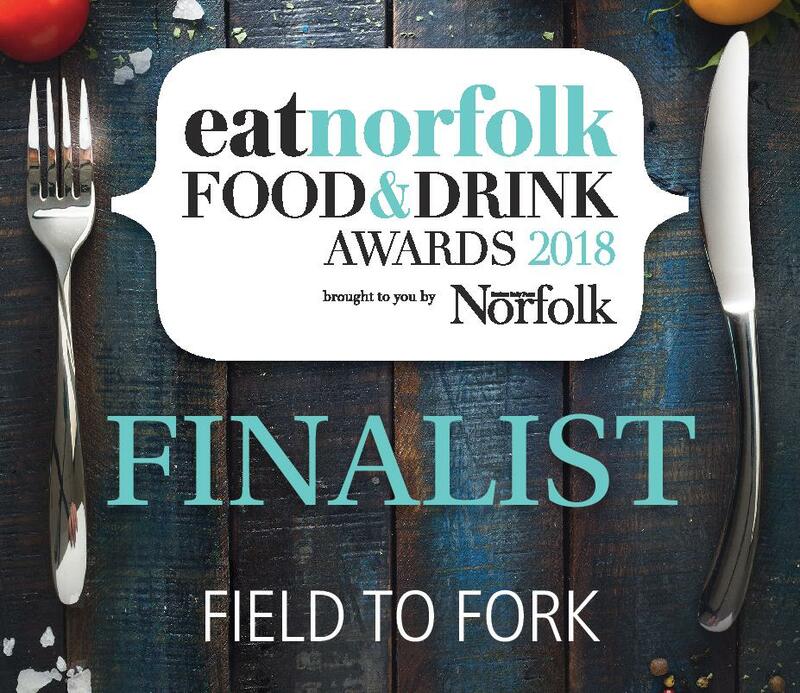 In September 2018 we were proud to be a finalist in the ‘Field to Fork’ category of the prestigious Norfolk Food and Drink Awards, following our appearance as finalist in the ‘Best Newcomer’ category in 2017. In Spring 2019 we will be opening larger premises on St Gregory’s Alley, close to our existing shop. All our products are 100% vegan – but you don’t have to be a vegan to enjoy them. Soysage rolls and Pasty’s homemade to our own recipes, using Norfolk tofu – to eat in or take away. From the deli counter – fresh and loose, buy by the gramme. Save packaging – bring your own container for any of our deli products! The Green Parrot, Swaffham – stocking soysages & burgers, frozen and loose. For those special occasions when a slice is just not enough, why not order a whole cake from us? 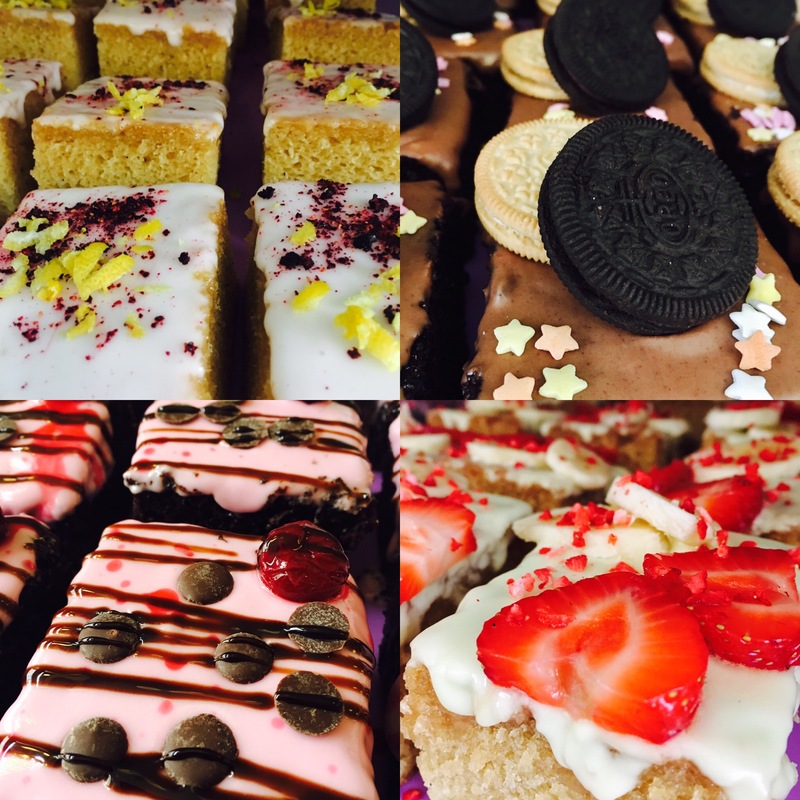 Available exactly like the cakes in our shop, with a choice of flavours and toppings from over twenty different base and topping combinations on our tray bakes. Our popular cheesecakes and gluten free loaves are also available as whole cakes to order. Choose from our larger tray bakes, or one of our gluten free options. All orders are provided on a base in a white box. We do usually need at least a few days notice, but can sometimes manage an emergency order. 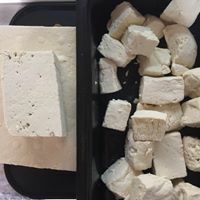 Our fresh tofu provides a much improved ingredient for use by caterers, with our unique extra-firm tofu a direct plant replacement for meat in many recipes, as well as a great ingredient in its own right. Deep fried it is especially tasty! Our soysages and burgers provide a tasty vegan option on cafe and Pub menus and we can supply our soyasge rolls and pasties – all available in bulk bags, frozen and uncooked for easy stock management. Cheesecake and traybake cakes also available frozen and uncut for the catering trade. Our soysage rolls, pasties and cheesecake are also on the cafe menu at Hillside Animal Sanctuary in West Runton and during the summer also at Frettenham. Our additional premises require substantial renovation before it can open, around Easter 2019. Once completed it will mean we can provide indoor seating on two floors – and hot food! They also provide a great space to finally launch our long planned workshops in Spring 2019. These will show how quick and easy it is to make your own soya milk @ home. We’ll be adding workshops on making tofu at home and cooking with tofu as the programme expands. You will be able to book online. Call in, email or phone us to register an interest or find out more. Interested in what we're doing? get in touch!